Need a quick review of angles, vertices, shape names, etc? Well, here’s a half sheet for you to give your students. It would be great for a math warm-up activity, since it isn’t very long. 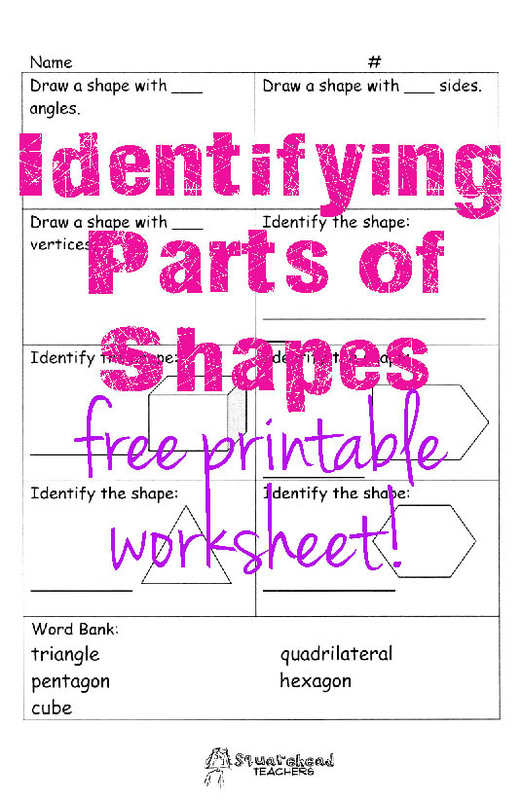 This entry was posted in Math and tagged Children, Education, Elementary School, geometry, Homeschool, Kids, Math, mathematics, shapes, Teacher Resources, Teachers, Teaching by Squarehead Teachers. Bookmark the permalink.